Are you ready to join the sisterhood? 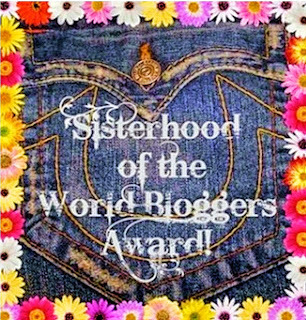 According to Katie, I am nominated for a Sisterhood of the World Bloggers award. Thank you Katie for nominating me and following my journey! The world of online blogging is truly a sisterhood. I’ve met so many friends through my blog. 1. Link to the person who nominated you. Done! 2. Add the award logo. Done! 3. Answer the questions your nominator has asked. Done! 4. Nominate 7 other blogs and let them know via comments. Done! 5. Ask your nominees 10 questions. Done! I love how these awards give us an opportunity to get to know random facts about each other. I’ve always been drawn to writing. It’s my creative outlet. As we embarked on our fertility journey, I knew it had potential to be a bumpy ride. I turned to writing as a form of self-care. I needed to release my feelings and frustrations while connecting with other women who understood exactly what I was/am going through. 2. How did you pick the name of your blog? I always knew our first baby would be a girl. I planned on naming her Autumn, hence the blog name, “Awaiting Autumn”. If the trend continues and this FET is a success, we will also be due next Autumn. Coincidence? I sure hope so! Side note: We named our Angel baby Emme as we both felt it suited her better. We also wanted to save Autumn in case we are blessed with the opportunity to have another daughter. The new, healthier me is going to go with savoury. 5. Where would you love to visit? It’s on my bucket list. 6. Do you like big, fast roller coasters? YES I DO! On roller coasters, I prefer the front seat for the best view or the back seat for the fastest ride. My wonderful husband does not like them though. We have braved the ferris wheel together, but that’s about it. 7. What’s your favourite meal? 8. What’s your favourite book? I’ve read many books in my day, but I honestly don’t have one favourite book. My favourite kids book is Goodnight Moon. 9. What one piece of advice would you give your 18 year old self? Be true to yourself. The only love that truly matters is how you love yourself. 10. Is chocolate ruined by fruit and nuts? Definitely not! Chocolate covered almonds, mmmmm. Chocolate covered berries, mmmmm. It’s all good. 1. If you could live in any decade from the 1900-2010s, which one would it be and why? 2. Cats or dogs? OR BOTH! 3. If money was no object, what would your ideal day look like? 4. What is your WORST secret admirer experience? 5. If you had a warning label, what would yours say? 6. What was your first job? What did you like about it? What did you dislike about it? 8. What’s the number 1 thing you want to cross off your bucket list? 10. What’s your favourite holiday? Tonight is the first Full Moon of 2015, the Full Moon in Cancer. Similar to my New Moon practices, I have a routine for each Full Moon. I light a candle, get out my Full Moon journal and write a list of things I want to release to the Universe. This Full Moon felt different though. My list ended up being affirmations to take me into my next cycle. That’s the thing about moon ceremonies, you make them what you need them to be. Go with the energy. Go with the flow of your intuition. Do what speaks to you. Back in November, my husband and I decided to both write letters to our daughter Emme as part of our grieving process. Surprisingly, my husband finished his a few weeks ago. I asked him to place it in Emme’s box for safe keeping. I’ve been putting off writing my letter. I kept telling myself I wasn’t sure I needed to do it, but tonight, I felt the urge to. As I wrote, I looked up at the TV and realized the song Unbreakable by Jamie Scott was playing. 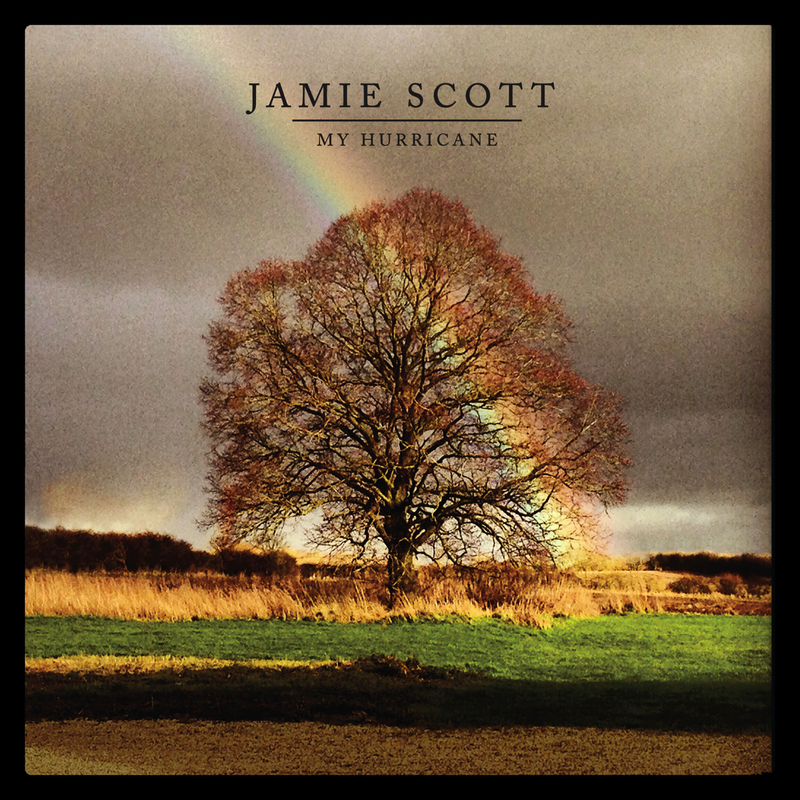 The album cover featured a large tree (similar to the one I always see in my meditations) with a rainbow going through it. Could this be a sign? I sure hope so. Employers offering to pay for egg freezing: empowerment or enslavement? This article has been circulating online today: Apple, Facebook to Women Employees: Keep Working, We’ll Pay to Freeze Your Eggs. I should not be as surprised as I am. I would love to read the internal publications that promote these programs. I would love to read the fine print and see how much they are actually funding, what are the caveats, what are the loopholes. This is not empowerment. This is another sign of society condemning women for embracing their femininity, their womanhood and their birthright to be a mother. This is enslaving women to their jobs. It’s taking away their choice to become a mother when THEY desire. It’s potentially ostracising them if they do not pursue their career path first. Because as much as they SAY that won’t happen, we all know it will. They try to sell it as a positive choice, but really they are promoting a high-risk scenario. They are encouraging women to look to science to solve their fertility woes instead of letting their bodies do what they were naturally built to do. They are encouraging putting drugs in your system and enduring invasive procedures “just because it’s easier for your career”. Is it really easier for you? Who paints the picture of what fertility treatments are ACTUALLY like? The disease of infertility leads so many of us to pursue treatment. Yes, we have a choice to accept treatment or not, but for most of us, it’s not a matter of choice. We will not conceive without fertility treatments. It’s too soon to be promoting “fertility treatments by choice” when infertility is barely recognized and hardly funded. What will happen to the infertility industry if a drawn our fertility timeline becomes the societal norm? I think we need to take a step back here. I’m all about women’s right and women’s choice, but this jaded infertile feels like this issue needs some more thought put into it first. This afternoon went by surprisingly but my clinic contacted me like an hour and a half later than they usually do. Why does this waiting game seem never-ending? It was worth it for these results though. I’m going for a repeat on Wednesday. Thank you all for your prayers and support. I truly believe in the power of prayer and know that there has been so much positive energy surrounding me to help make this happen. Well… I don’t even know what to say. My Beta #1 is 47. This is low for 12dp5dt plus it’s EVEN lower considering I have some artificial HCG in my system. They advised me to stop taking the extra HCG and the baby asprin. I will continue the Estrace, Prometrium and PIO. I go back Friday for Beta #2. Why, oh why does this have to be such a game? I can’t help but feel a bit broken right now. Can anyone give me a glimmer of hope? Tomorrow is embryo transfer day! Well, I am feeling MUCH better today. My nurse said I could stop my Doxycyline early and that would probably curb my nausea. I didn’t tell her that I had already tested this theory out. I took all of my morning pills with breakfast and waited to take my Doxycyline with lunch. It made a HUGE difference. Anyway, doesn’t matter now. Bye, bye Doxycycline. She also mentioned that the Dostinex can cause nausea, but I’m stuck with two more doses of that. My husband and I had a relaxing day enjoying the ocean scenery. We took a nice drive along the coast and spent some time at our fav dog park (Yes I’m a crazy dog lady who goes to the dog park on vacation because 1) it’s a beautiful view 2) I love playing with the dogs). We also stopped by a lake and spent some time on the beach. Tomorrow, we find out how many of our embryos made it to day 5. I’m super excited to watch them put my embryo into my womb. I feel like this is the best chance I’ve had yet at becoming pregnant. We haven’t had a talk with our RE yet about how many to transfer. If all our embryos are high quality, we are now leaning towards only transferring one. Does anyone have any advice on this? It’s 4:30 am MST. Wayyyyy too early if you ask me. We are just waiting at the airport for our flight. We got some great news before bed last night. After I found this out, I ended up removing quite a few pieces of clothing. I’m still a horrible packer though. I never backpacked Europe for a reason. Yesterday didn’t go quite as expected. I went for my blood work just after 8 am. Got in at 8:30 am. 3 techs and 3 pokes and 35 minutes later, they finally got my blood. I have deep, difficult veins. I always tell them where the best spot is, but if the tech isn’t listening or isn’t confident, they often miss it. Now, I’ve got a new bruise on top of last week’s bruise. This delay meant that I missed the 9 am pick-up, but my blood would be going on the 11 am pick-up. No biggie. Last time the clinic received my blood about 2 hours after pick-up. My fertility clinic is also an hour time difference behind us which means they would be there if the results came through end of the day. Well, they didn’t receive the results. I was instructed to maintain the same dosage of Puregon and Repronex and to NOT take my Orgalutron until the clinic gets back to me. Surprisingly, I didn’t let this stress me out too much. Although, I was dreaming about it last night. My local health care always pisses me off. I’m glad we will be in B.C. in a few hours where I will have access to the on-site lab at the clinic. I’m also looking forward to getting settled and enjoying our mini-IVF vacation. Hopefully I can catch a few more ZZZZ’s on the plane. I don’t do well on lack of sleep. Oh, I almost forgot: It’s easy to get through security with your injectibles meds. No hassles at all.